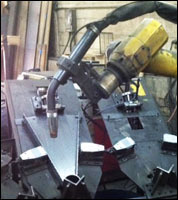 "At The Iron shop we are using DF torch equipment to weld spiral staircase steps together. 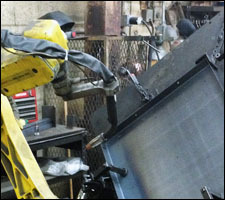 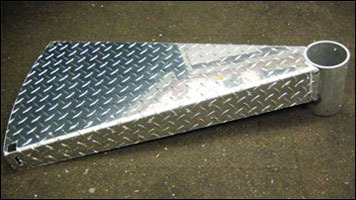 Recently, we were able to expand our production capacity by using our robots to weld aluminum steps in addition to steel. 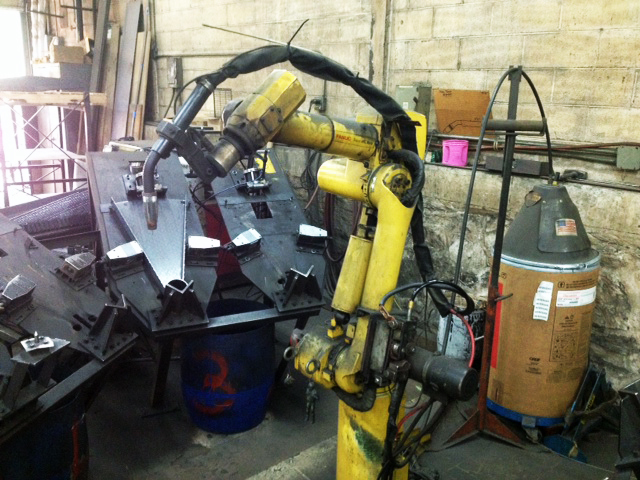 Initially, we had a great deal of problems associated with feeding aluminum welding wire. Steve Moerke provided terrific troubleshooting and also helped us find the reinforced casing that we needed. 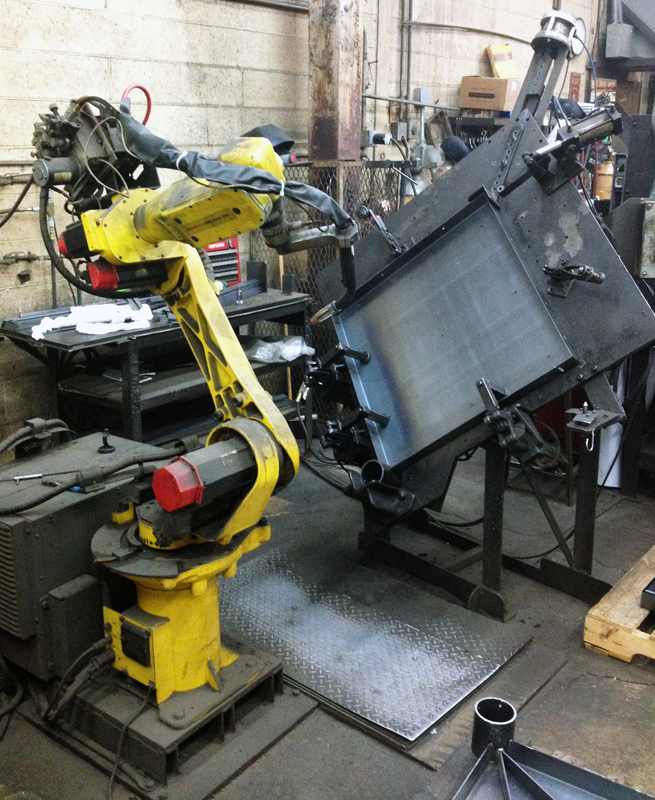 We thank the DF specialties staff for helping us work through the obstacles we encountered while achieving this goal." 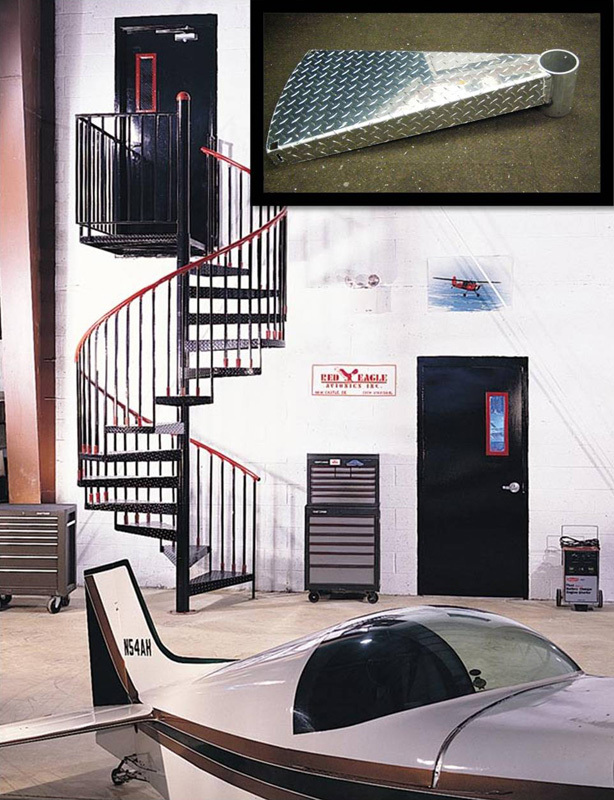 The Iron Shop uses the D/F Air-Cooled Robotic Curved MIG Torch to create fantastic aluminum staircases and other creative and high quality products. 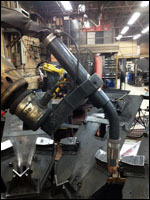 Learn more about the D/F Air-Cooled Robotic Curved MIG Torch here.